← To frac and prevent a Lethbridge-style unified “NO!”? ‘Embarrassing’ new Taber bylaw outlaws swearing, restricts public assembly. To Synergize with Harper’s Bill C-51? And, to be perfectly frank, when you do energy law, as I do, or corporate litigation, you’re not dealing with life and death situations and people whose lives have been turned upside down, plaintiffs who are weeping. It’s just about money. The family of Mr. Eyles has been notified of his death, and the media has been asked by the BC Coroners Service to respect the family’s privacy during this difficult time. Mr. Eyles worked with a group of Calfrac employees that were based in Grande Prairie, Oke confirmed. The workers on the crew have been receiving grief counseling and will return home on paid leave for a bereavement period. Updated near the end with more comments from Calfrac — Ed. Ed Oke, senior vice president of human resources and acting spokesperson for Calfrac, said the incident occurred when the company was conducting a fracking operation. Oke confirmed the deceased was from B.C. but declined to offer further information pending notification of next of kin. Fitzgerald also confirmed that Calfrac was conducting completion operations at the time of the incident. The BC Oil and Gas Commission referred all questions to WorkSafe BC, who is the lead agency on this investigation. “At this point it is about taking care of the family. We’ve been talking to them as much as we can and trying to help them out and also, getting our employees back to Grande Prairie which is their base because they’ve been up all night,” said Oke. Investigators still don’t know what happened during a fracking operation that claimed the life of a Kelowna man in the early hours on Wednesday. Jack Shawn Eyles was working at the Progress Plant north of Fort St John, where he was pronounced dead at the scene shortly after midnight. The BC Coroners Service, Worksafe BC and the RCMP are continuing to investigate his death. A coroners’ report is expected to be released upon completion of the investigations. Jack Shawn Eyles in a Facebook photo from 2012. Eyles perished in a fracking accident March 11. A Kelowna man has died at a hydraulic fracking operation in Northern British Columbia. Jack Shawn Eyles, 28, was killed in an industrial accident at the Progress Gas Plant north of Fort St. John on March 11. Shortly after midnight, Eyles was part of a team working a fracking rig when something went wrong. The source said Eyles was working in the nitrogen pumping division for Calfrac. Trish Chernecki, senior manager with WorkSafeBC, said only preliminary information is available at this point. “I can confirm that WorkSafeBC was contacted by the Fort St. John RCMP about the incident either in or near Wonowon, B.C., at 1:13 a.m on March 11,” Chernecki said in an email to Castanet. “WorkSafeBC assigned two officers in the early hours of March 11. The employer’s name is Cal Frac, and the incident occurred at (the) Progress Energy Canada Ltd. site.” The Progress gas plant is about 200 kilometres north of Fort St. John, near Mile 126 of the Alaska Highway. A Kelowna man is dead following an industrial accident near Fort St. John on Wednesday. According to the BC Coroners Service, 28-year-old Jack Shawn Eyles died at the Progress Gas Plant just north of the city. Eyles was working on a fracking operation at the plant about 200 kilometres north of Fort St. John near Mile 126 of the Alaska Highway. Shortly after midnight on March 11th something went terribly wrong. The BC Coroners Service has confirmed the identity of a male who died following an industrial accident at the Progress Gas Plant north of Fort St. John on March 11, 2015. 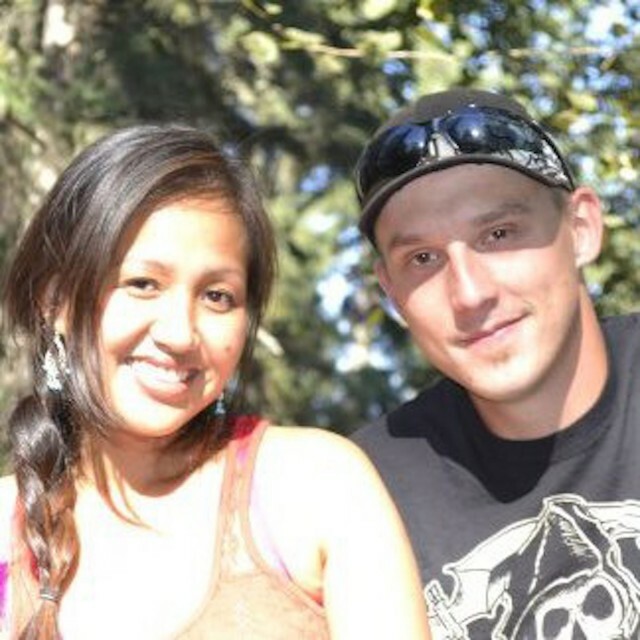 He was 28-year-old Jack Shawn Eyles of Kelowna, and was working on a fracking operation at the time of the incident. WorkSafe BC Media Officer Trish Chernecki says they were informed of the incident by the Fort St. John RCMP at 1:13 a.m. March 11, 2015, and have since assigned two officers to conduct an investigation. Chernecki says the work site was either in or near Wonowon, B.C., and was immediately attended to by the police and the Coroners Office. Senior vice president of production for Progress Energy Mark Fitzgerald says the fatal accident occurred when a Calfrac employee was conducting a completion operation. “We really have no indication of what the cause was and we’ll allow the various investigations play out – understand the facts and anything [else] I can provide now would be nothing more than speculation,” says Fitzgerald. Fitzgerald has confirmed that Progress Energy, Calfrac Well Services and WorkSafe BC are all conducting their own investigations into the matter. “We will work very closely and aggressively with both our investigation teams, as well as the appropriate regulators to understand fully what happened here and make sure that we do everything possible to prevent a reoccurrence,” explains Fitzgerald. The name of the deceased is being withheld to respect the privacy of the victim’s family, says Fitzgerald. The Fort St. John RCMP and Calfrac Well Services Ltd were unavailable for comment. KELOWNA – The BC Coroners Service has confirmed the identity of a male who died following an industrial accident at the Progress Gas Plant north of Fort St. John on March 11, 2015. He was Jack Shawn Eyles, aged 28, of Kelowna. Mr. Eyles was working on a fracking operation at the Progress Plant located about 200 km. north of Fort St. John near Mile 126 of the Alaska Highway when, shortly after midnight on March 11, something went wrong. Mr. Eyles was deceased at the scene. The BC Coroners Service, WorkSafeBC and the RCMP continue to investigate this death. The family of Mr. Eyles has been notified of his death. On behalf of the family, the BC Coroners Service asks that the media respect their privacy at this difficult time. “As soon as I called her I knew something was wrong, she was just yelling on the phone. I couldn’t make it out, but something was wrong,” said sister in law of one of those killed in the accident, Victoria Garcia. A rig explosion Tuesday morning in Upton County leaves an Andrews family mourning the loss of three family members. It happened about forty miles south of Midland on highway 2401 east of Highway 349 around eight thirty in the morning. Four were involved, only one survived. For one Andrews woman, she lost a husband, a father and a brother in Tuesday morning’s explosion. The three leave behind many children and multiple grandchildren, all of whom gathered Tuesday afternoon to grieve. Cars lined the street in a neighborhood on the North side of Andrews as family and friends filled a home to remember three family members, Arturo Martinez Jr., Arturo Martinez Sr., and Rojelio Salgado, all killed in an early morning rig explosion. “They were energetic real fun, my brother in law, he was always with his grand kids, he has five grand kids, three daughters, his wife. Big family, we were all one big loving family,” said Garcia. The three had only been working together for two months, this job was in Upton County working for Mason, a pulling unit company. “The operator of the crew was their grandpa, my sister’s father in law, so we lost three in one you know,” said Garcia. Shortly after CBS 7 arrived at the family’s house, a company representative from Mason spoke to the family. Media wasn’t allowed in, but at times you could hear a family member break down sobbing or another yelling at the representative demanding answers. “We want answers, but of course we know that there has to be an investigation,” said Garcia. For now, all the family says they can do is lean on each other and hope that the strength of a strong family will help them get through the horrific loss of three loved ones in what family members call a freak accident. “It’s going to be hard, it’s going to be real hard. But, we will pull through, God willing, God is on our side,” said Garcia. CBS 7 did reach out to Mason, but they declined to give us an interview. As far as the investigation, OSHA has been called to the scene and will be the lead investigators. The machine the men were working on was a pulling unit. These type of machines are used to remove stuck pipes, casing, or any other obstruction in the drilling well. The overall use of the equipment is to increase oil flow from producing wells. UPTON COUNTY: According to a family member of the victims, Laura Lujan says three of those killed were her family members. Those killed in the accident were all from Andrews, 19-year-old Rogelio Salgado, Arturo Martinez Jr. and Arturo Martinez Sr. were all pronounced dead at the scene. There was a fourth surviving victim involved, no word on his condition. On Tuesday morning, some kind of oil rig explosion happened in north Upton County off of FM 2401. The Upton County Sheriff’s office tells NewsWest 9, three people died. Although officials have not released the names, family members told NewsWest 9 Rojelio Salgado, Arturo Martinez Sr. and Arturo Martinez Jr. were killed. We’re told all three men were related. Officials say there was a fourth man on site but he was not transported. They were all working for Mason, a pulling unit company, that was contracted by Parsley Energy. “Right now everything is in the preliminary stages. We don’t know exactly what happened. We don’t know what caused the explosion,” Dusty Kilgore, Investigator with the Upton County Sheriff’s Office, said. OSHA is expected to arrive but the investigation will be at stand still until it’s safe for officials to be on site.